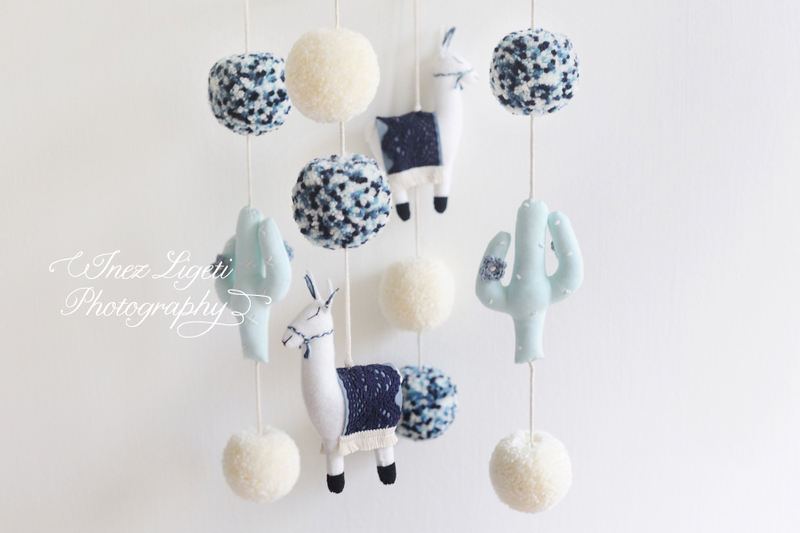 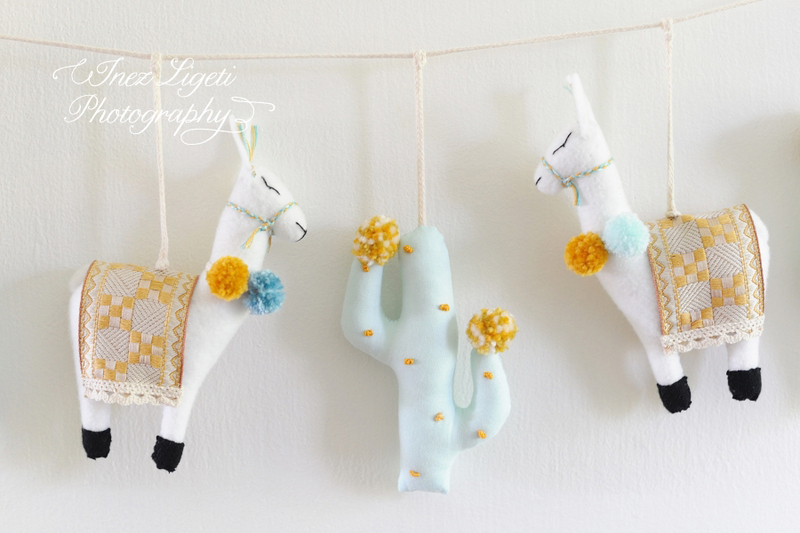 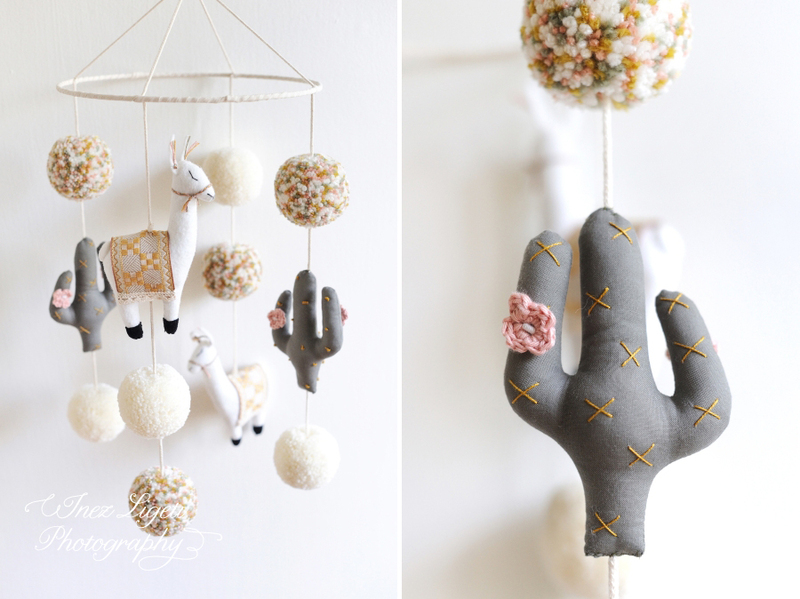 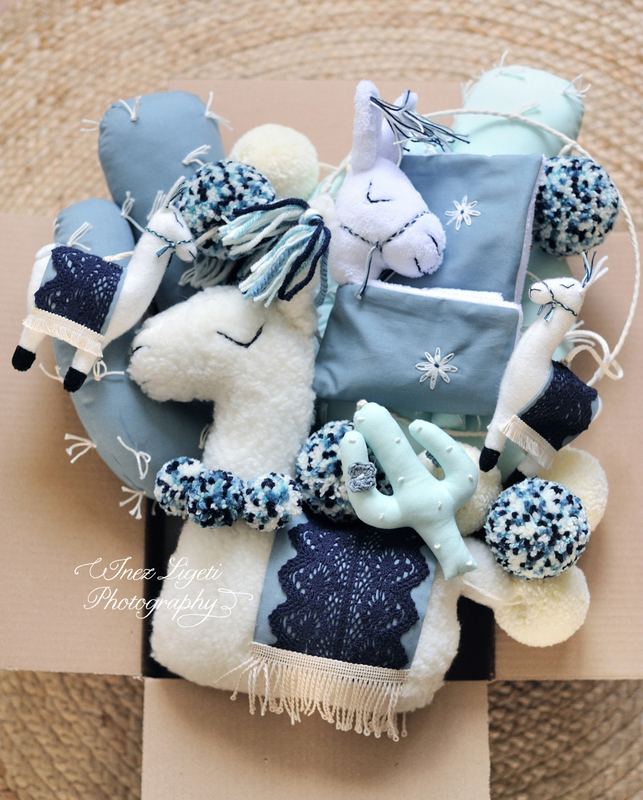 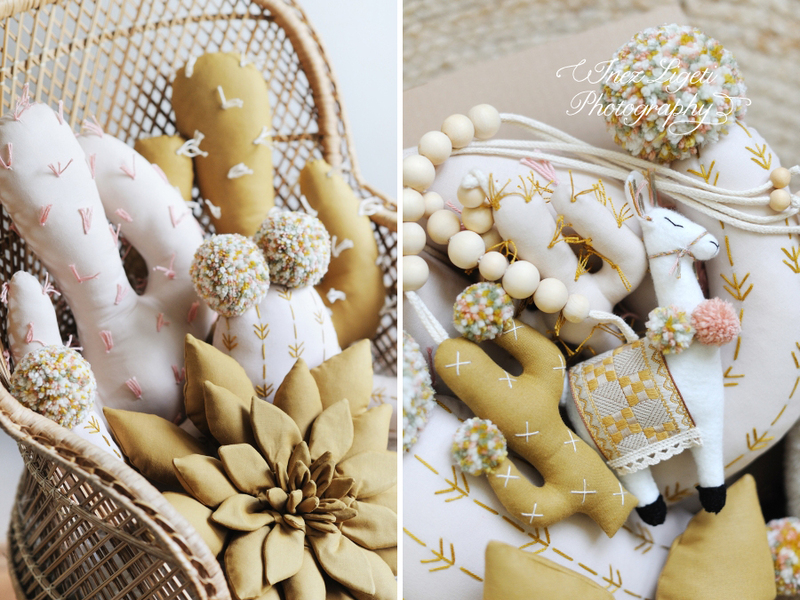 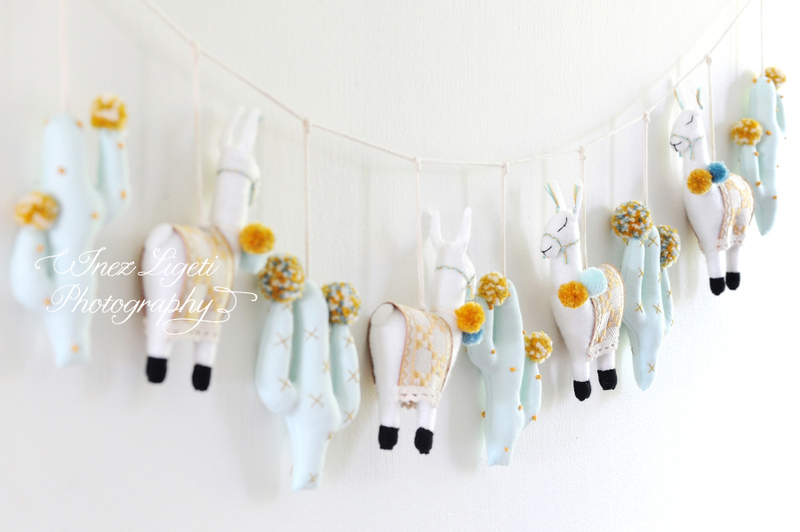 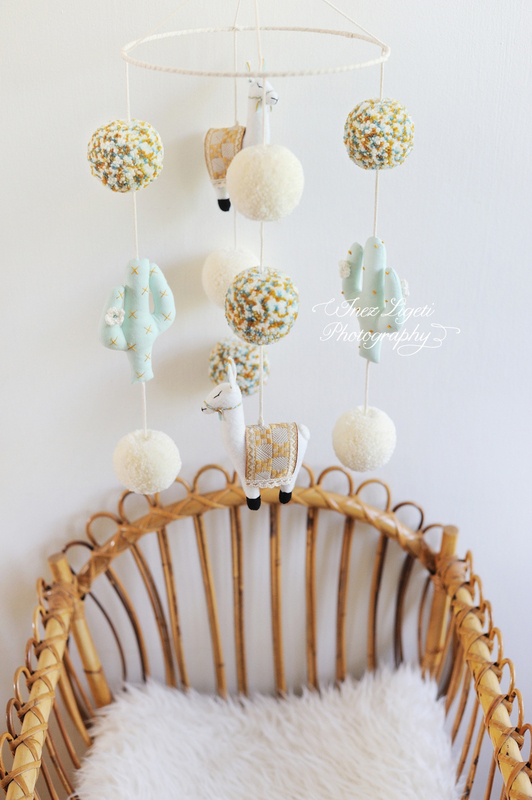 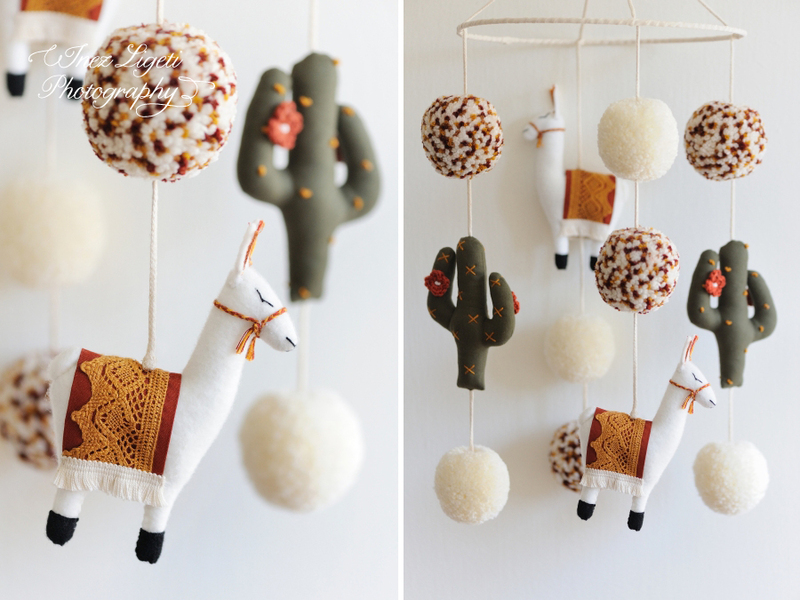 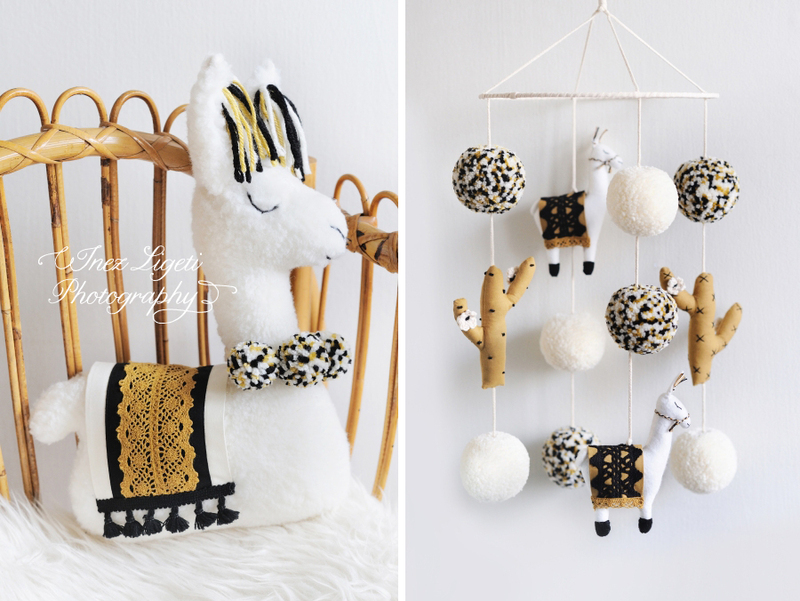 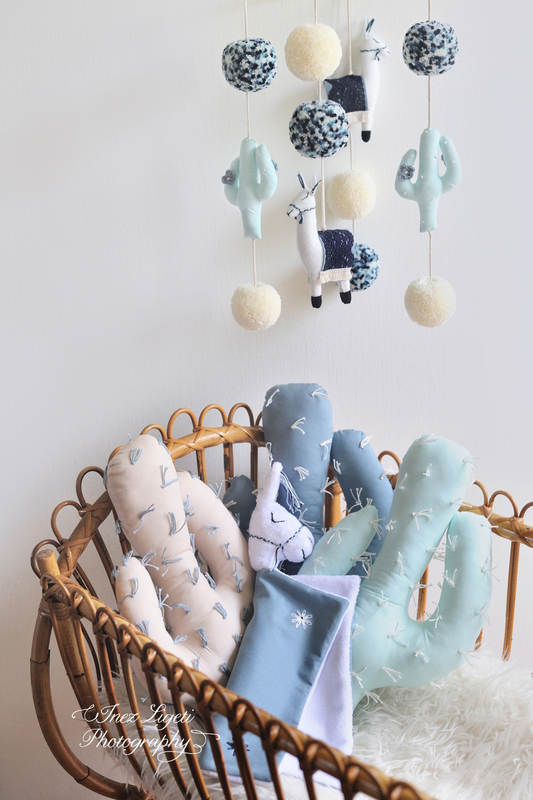 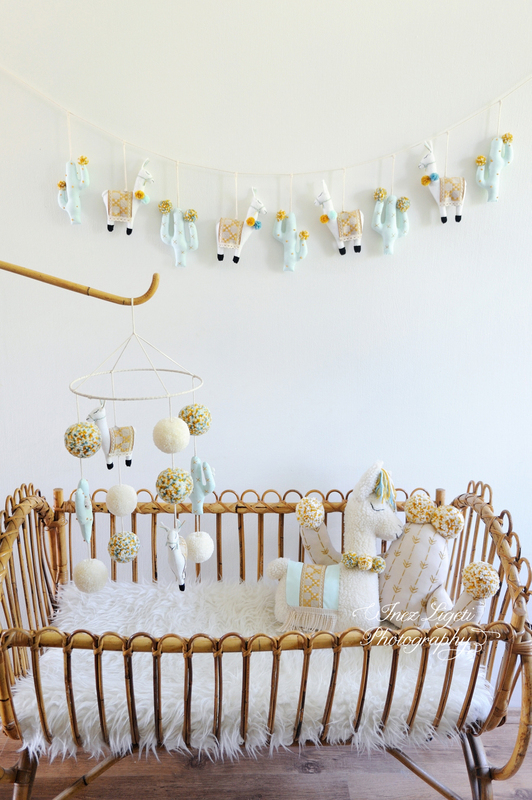 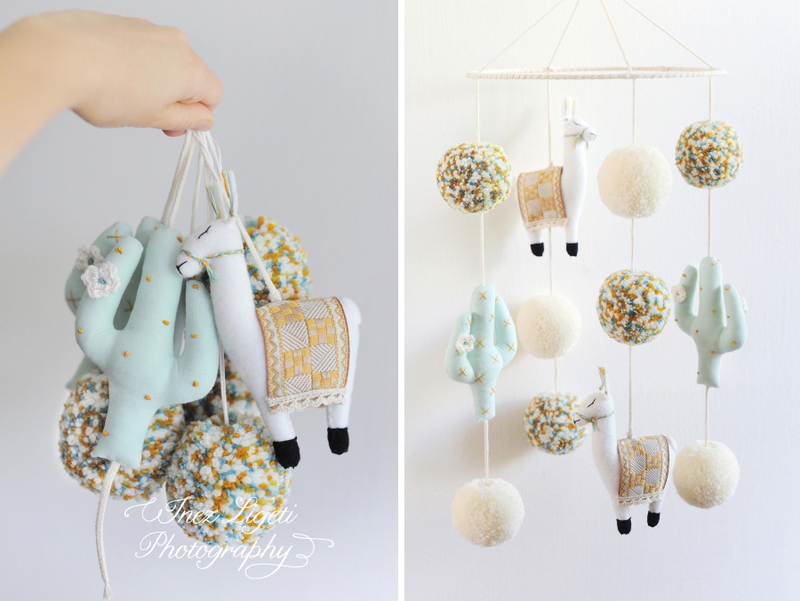 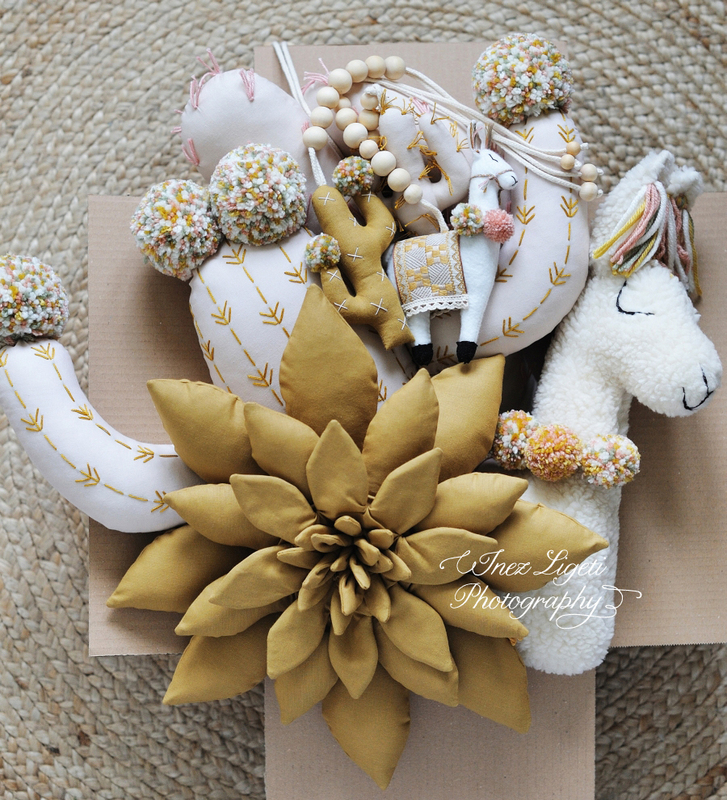 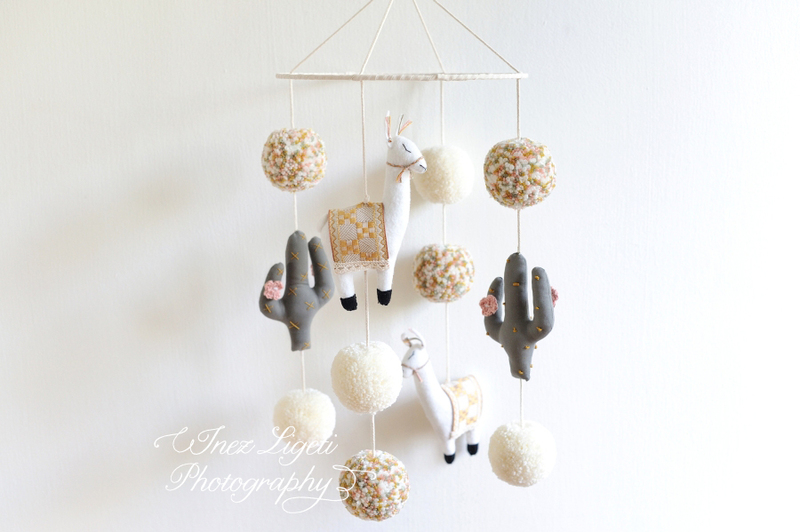 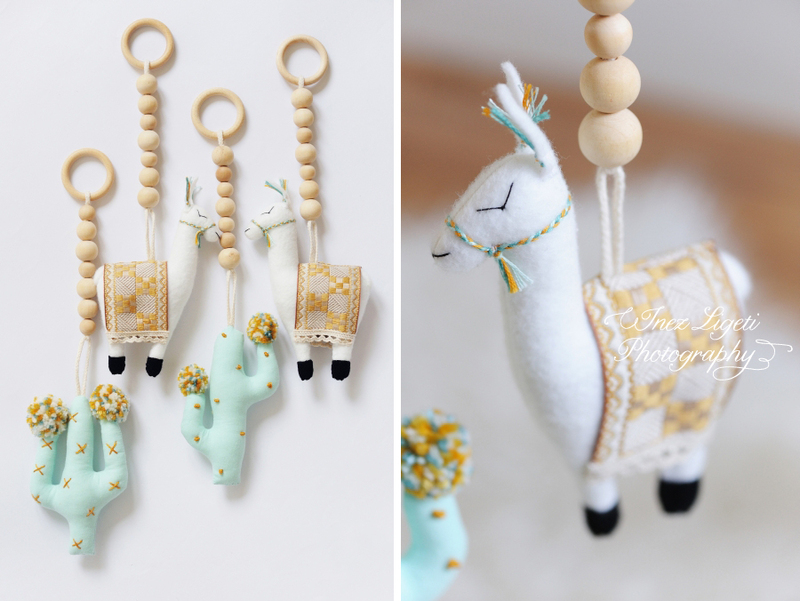 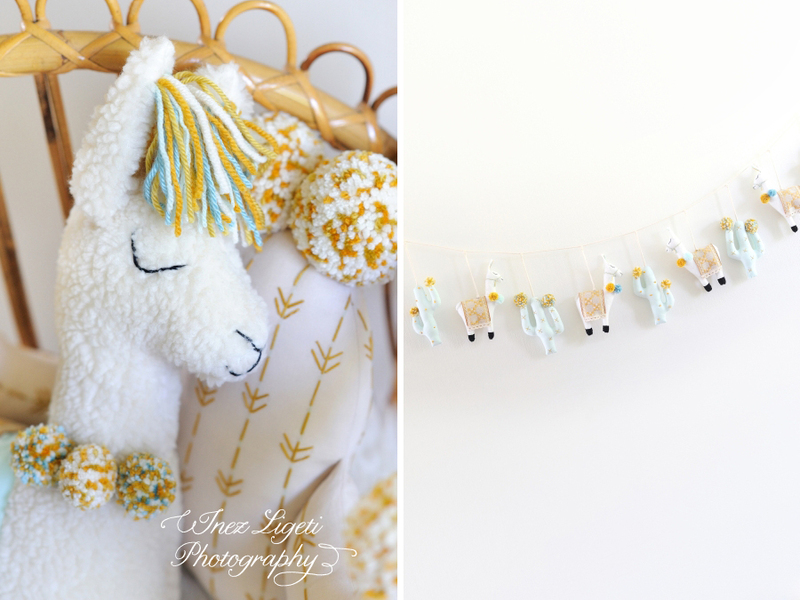 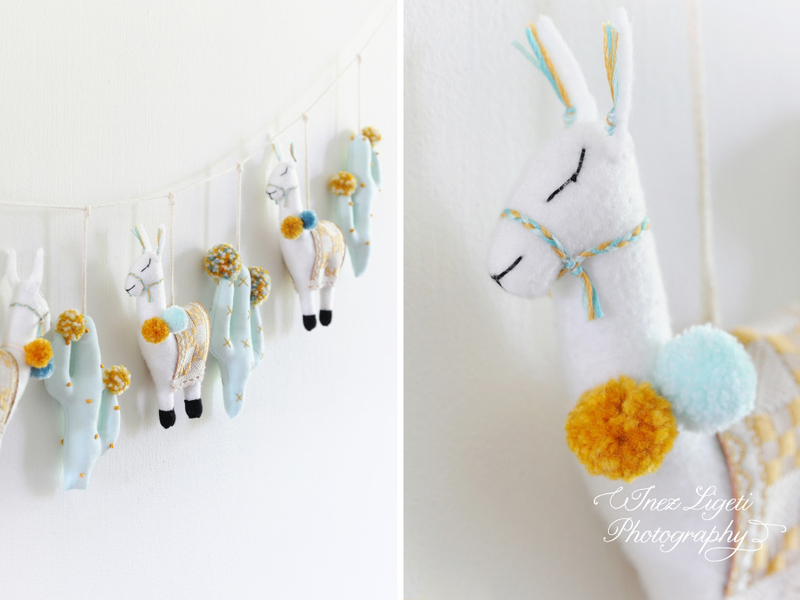 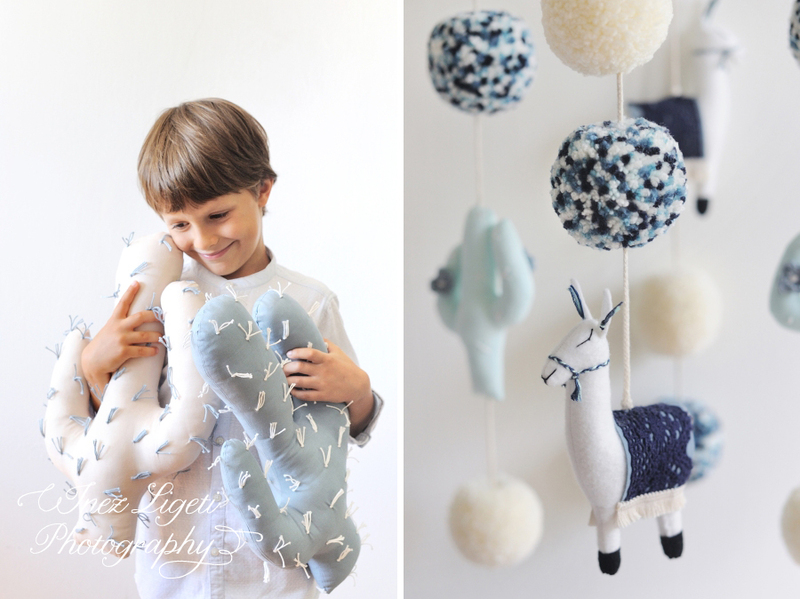 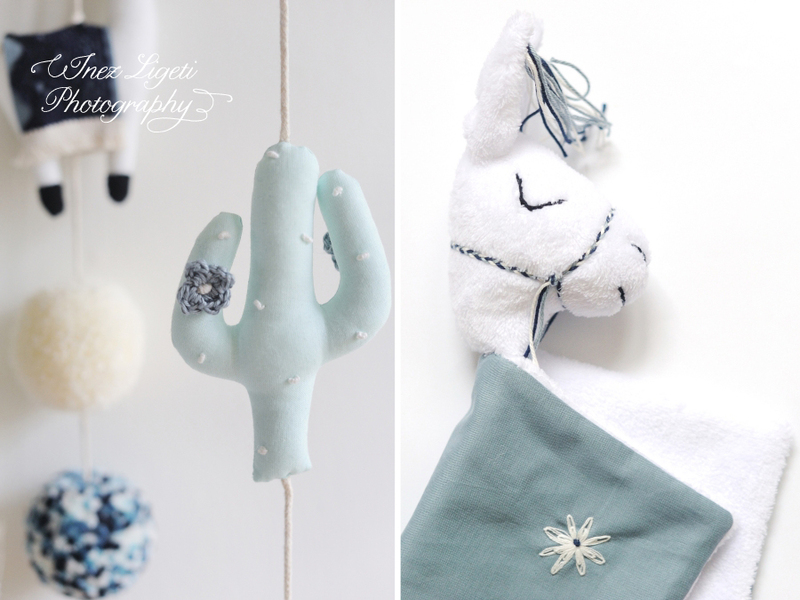 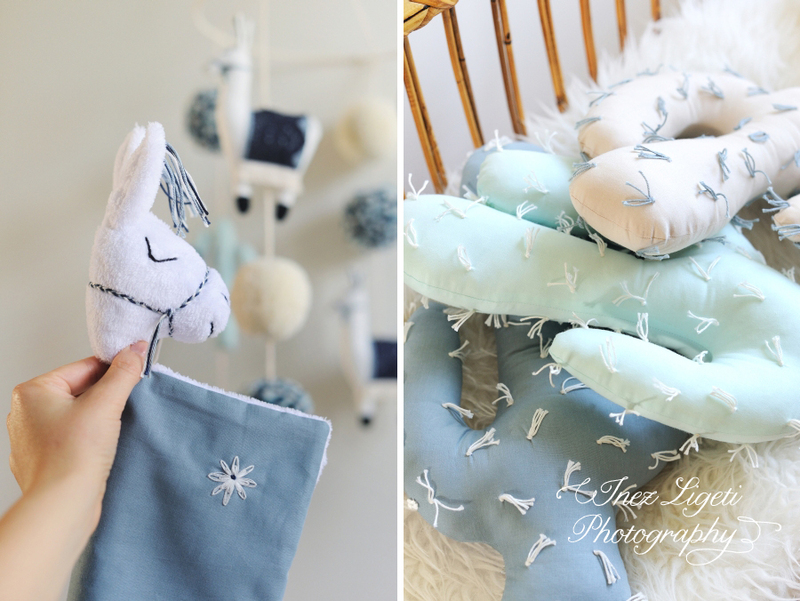 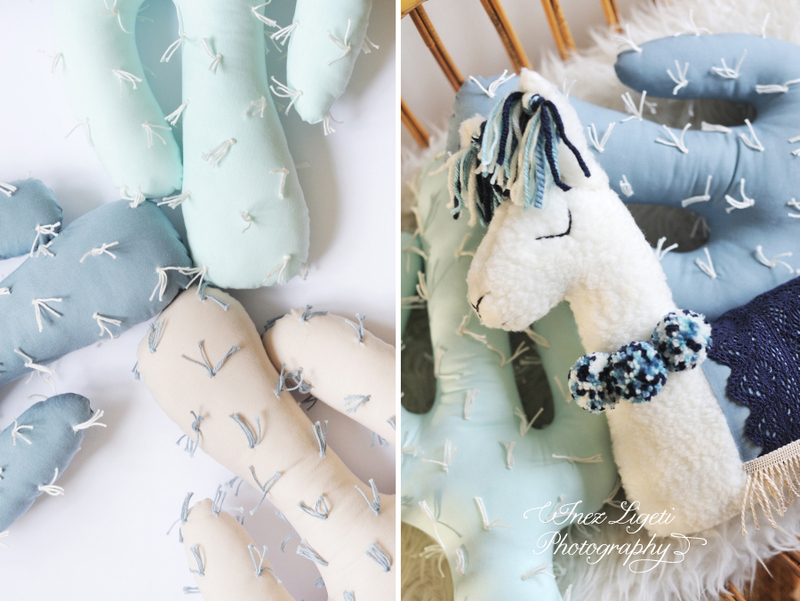 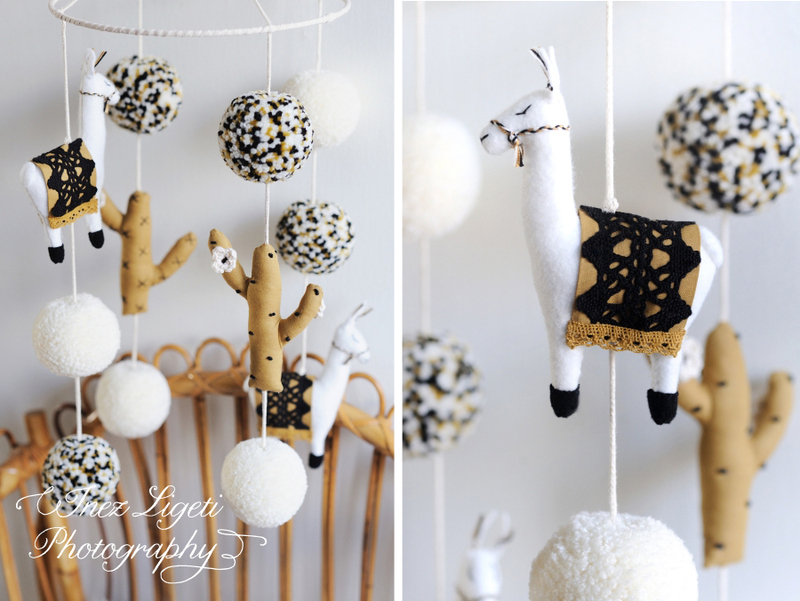 We made a new Llama & Cactus Nursery Mobile, a matching Cuddly Cactus Pom Pom Pillow and a Llama Soft Toy. 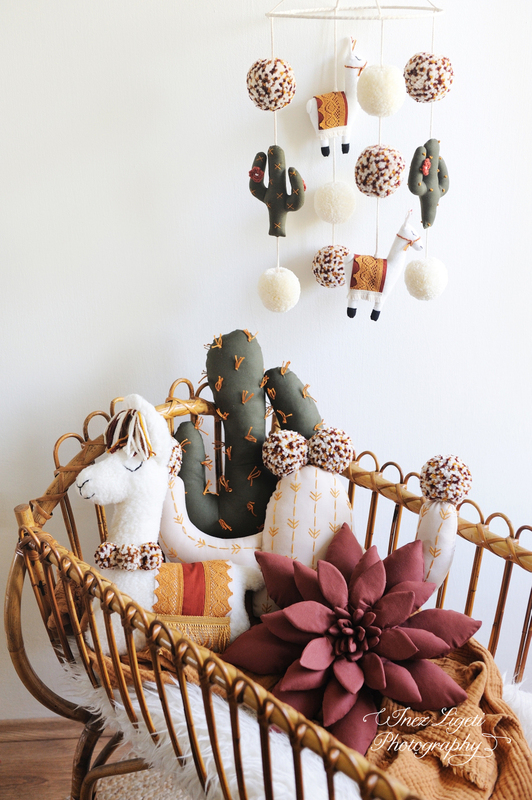 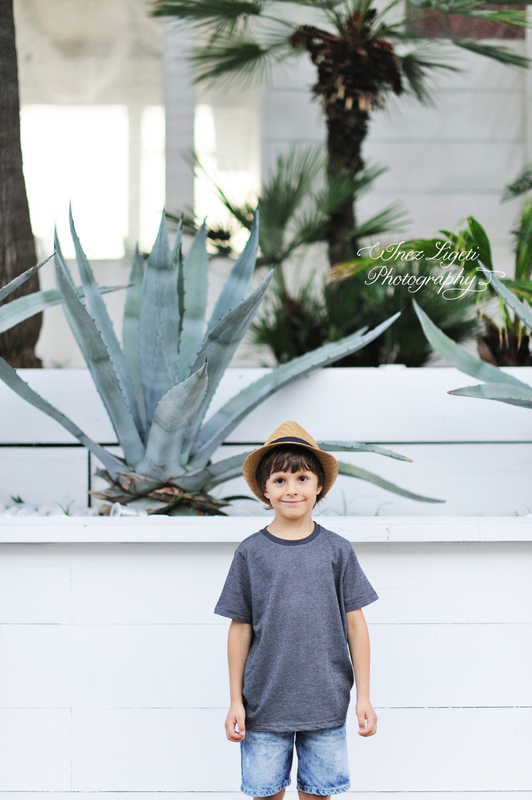 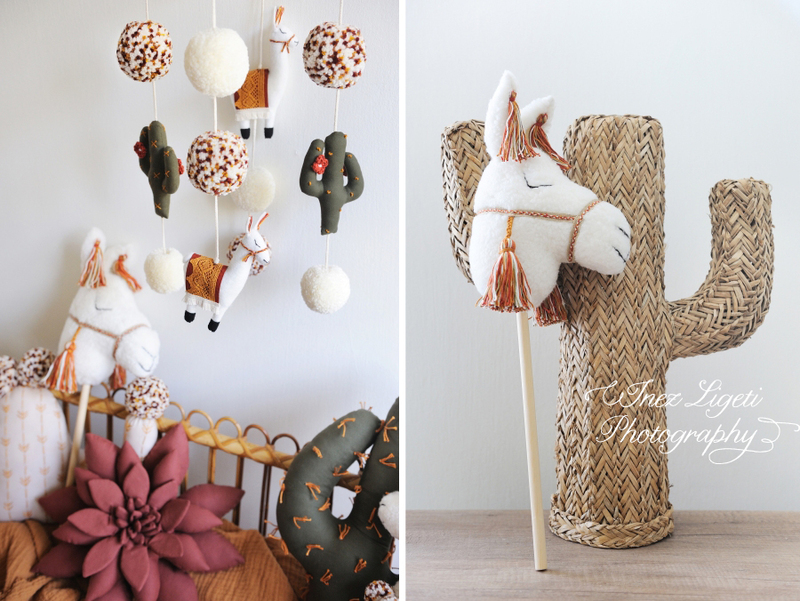 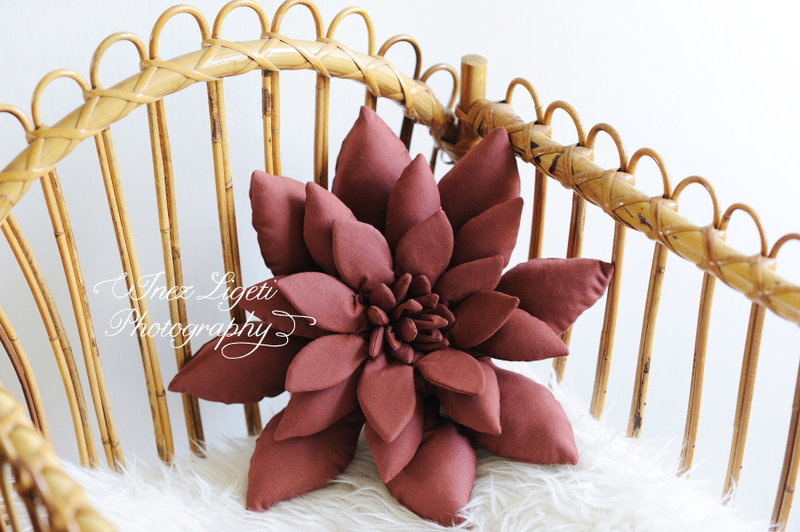 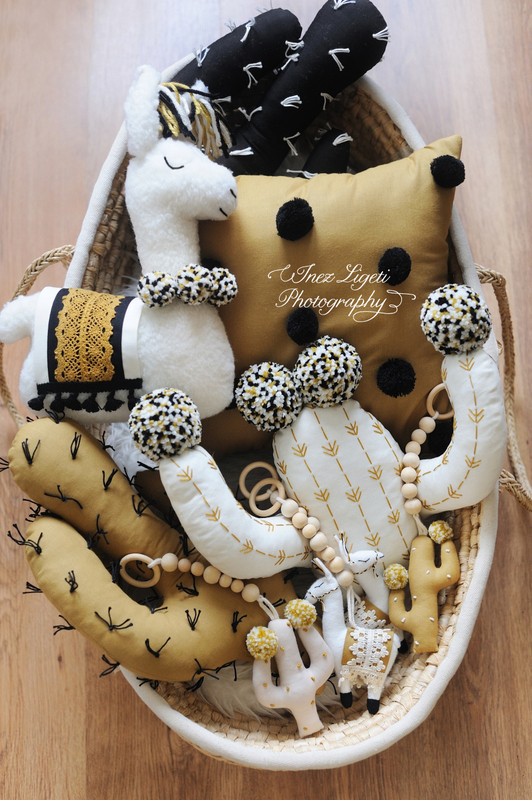 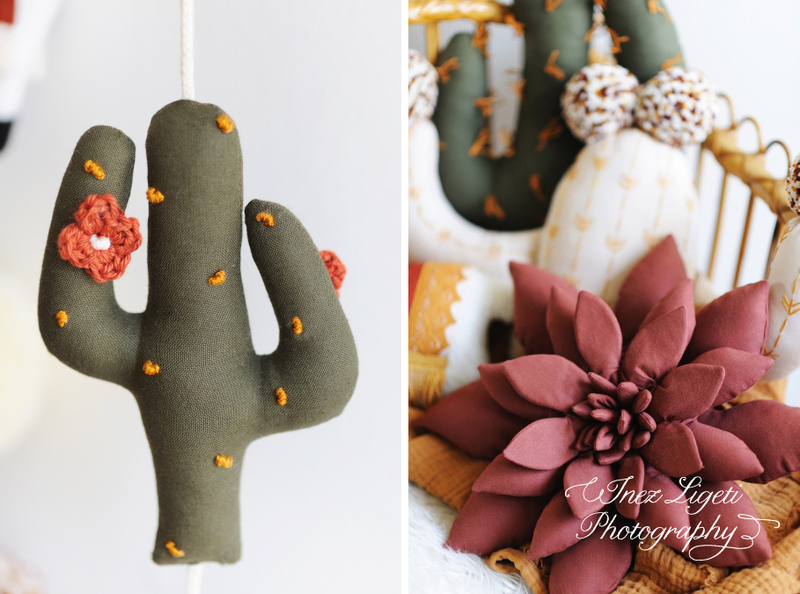 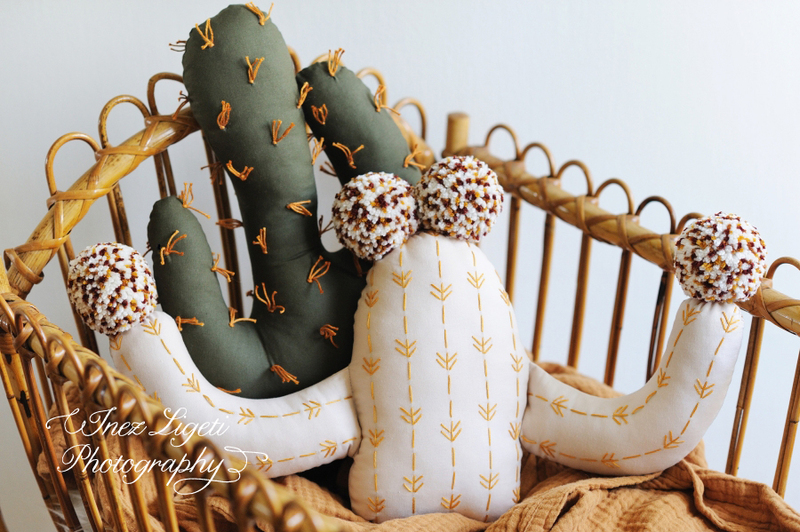 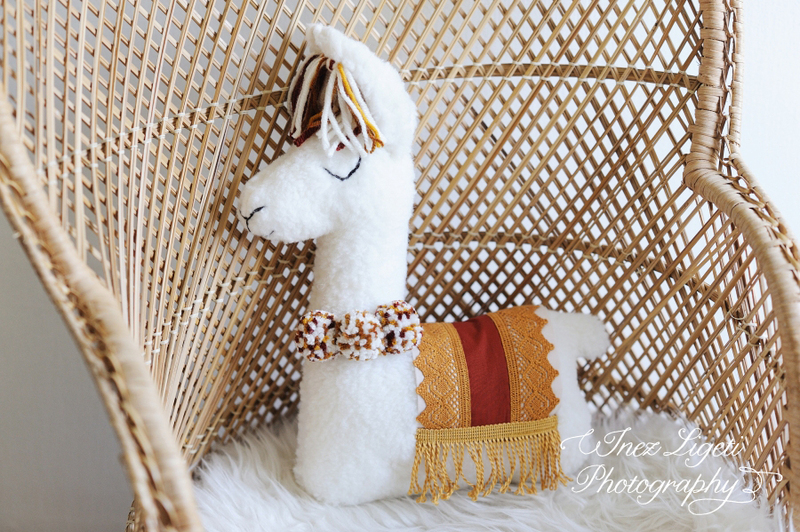 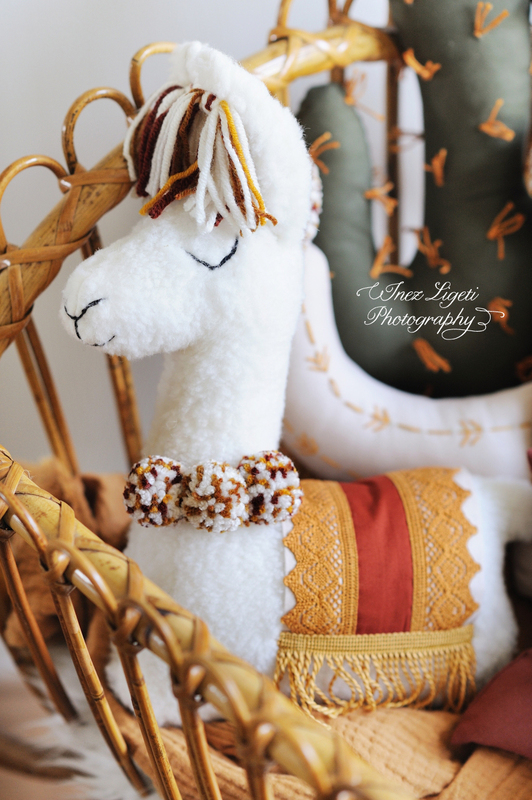 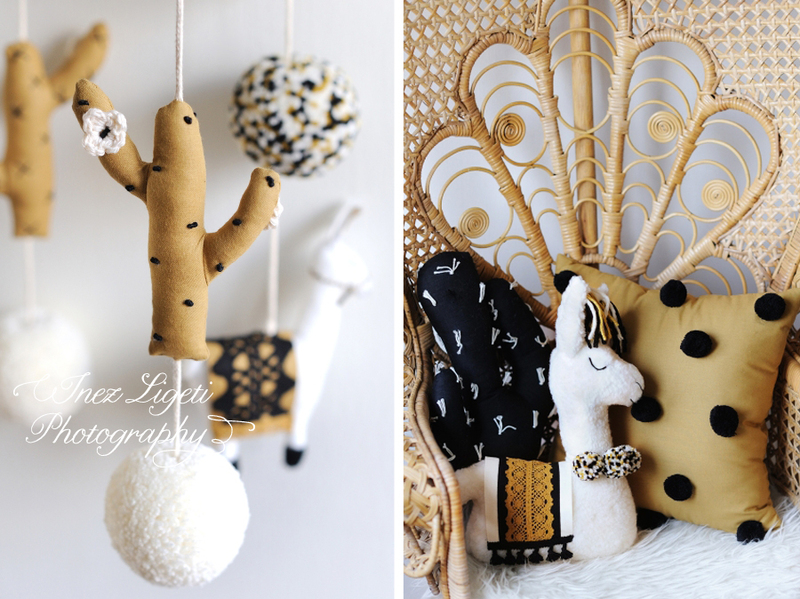 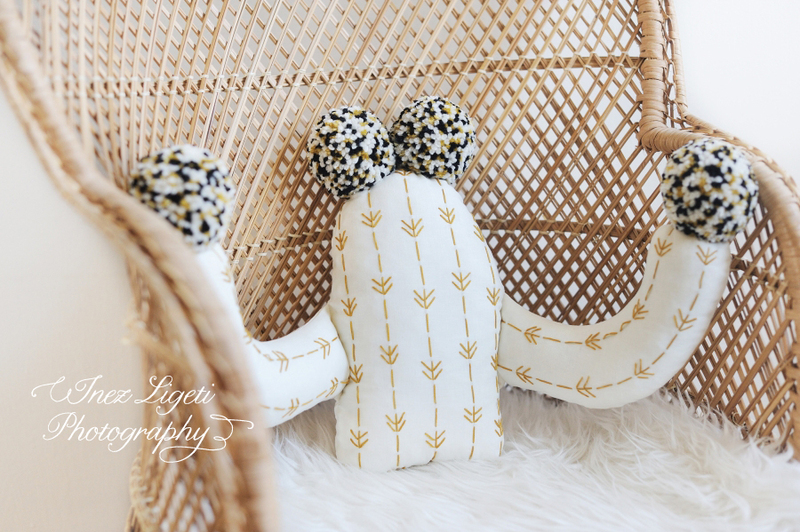 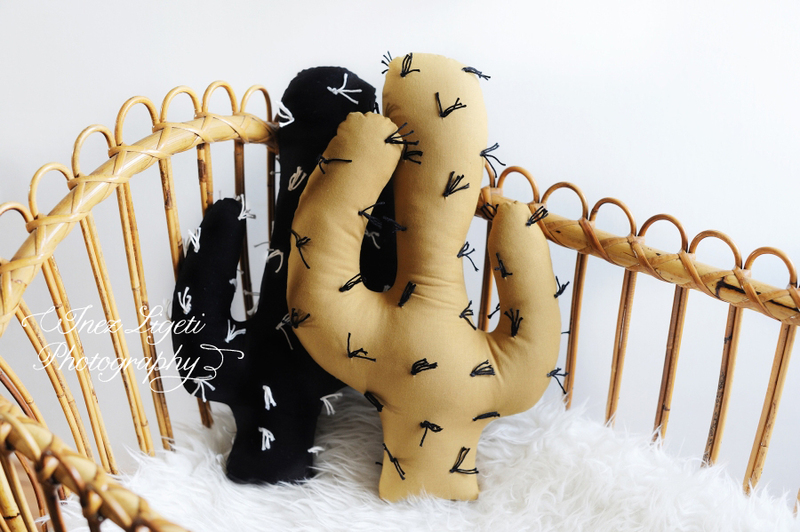 We also made a new Llama Riding Stick Toy, a dark olive Saguaro Cactus Pillow and a new terracotta Succulent Pillow. 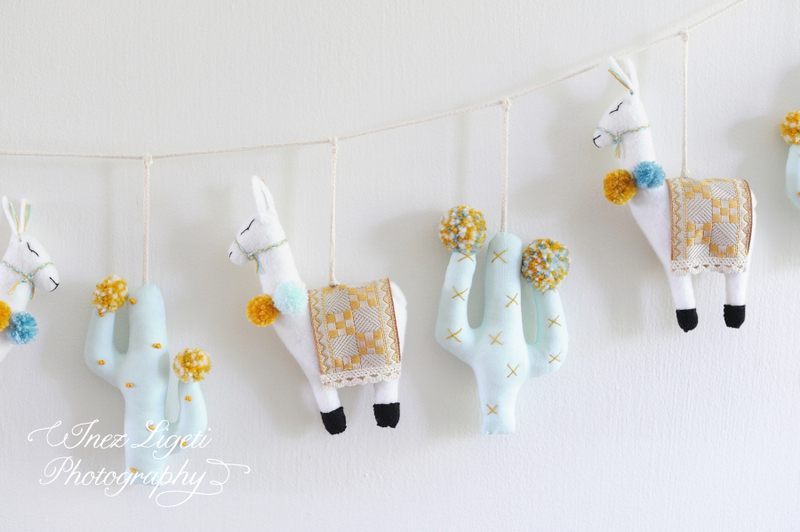 So in love with this custom bunting we’ve made! 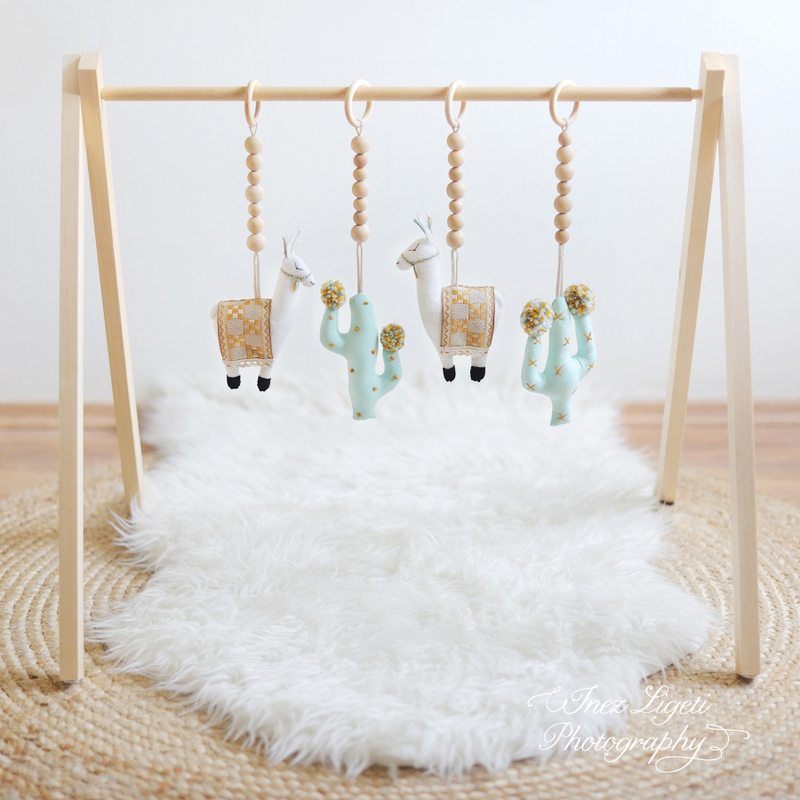 The cacti and llamas are not fixed (only 1 cactus, to mark where the middle is), they can be easily moved to the preferred distance from each other. 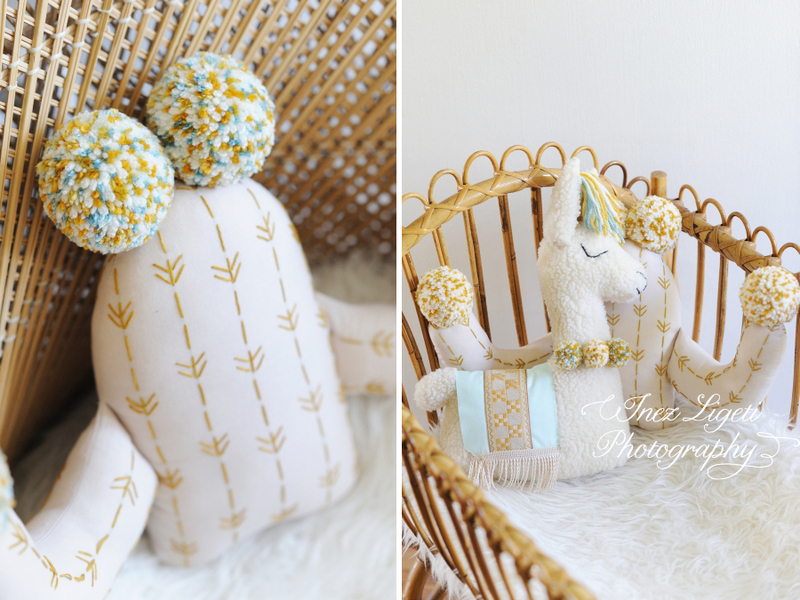 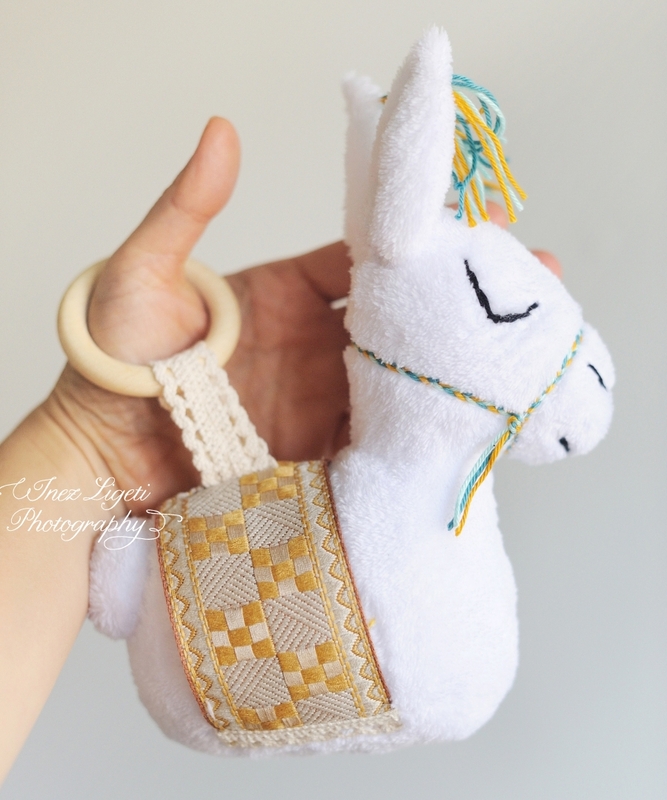 We have a matching ‘Baby Llama Sensory Rattle Toy’. 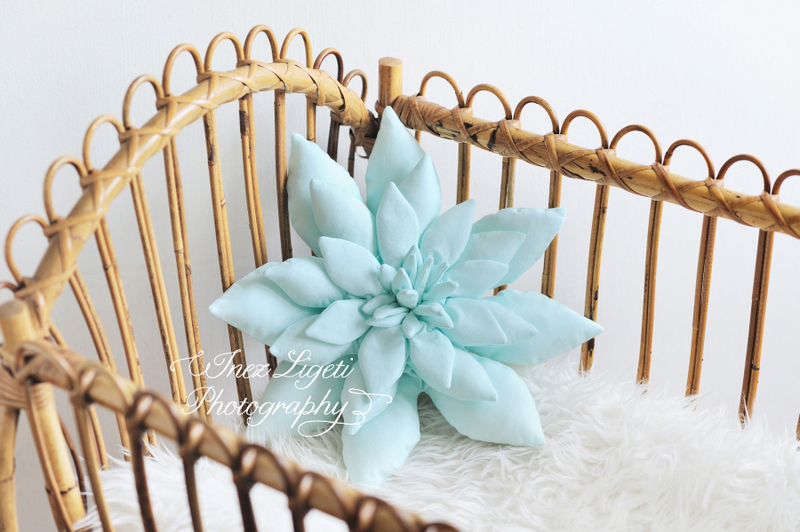 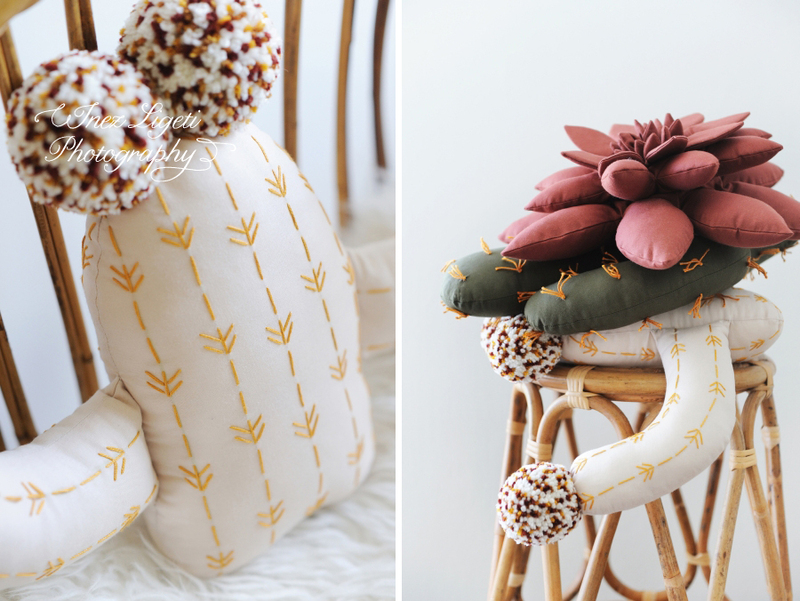 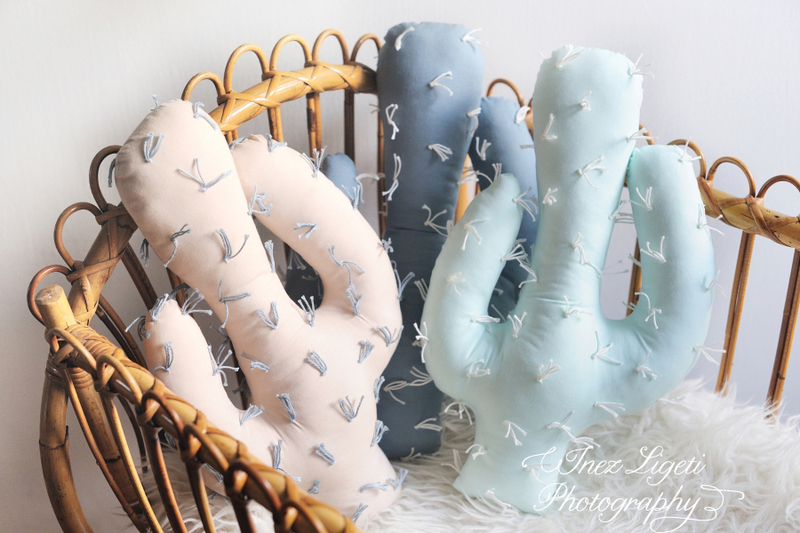 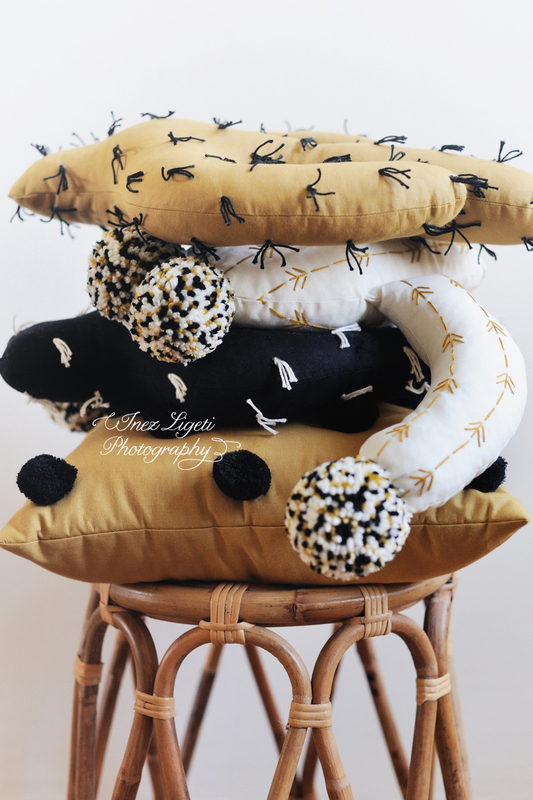 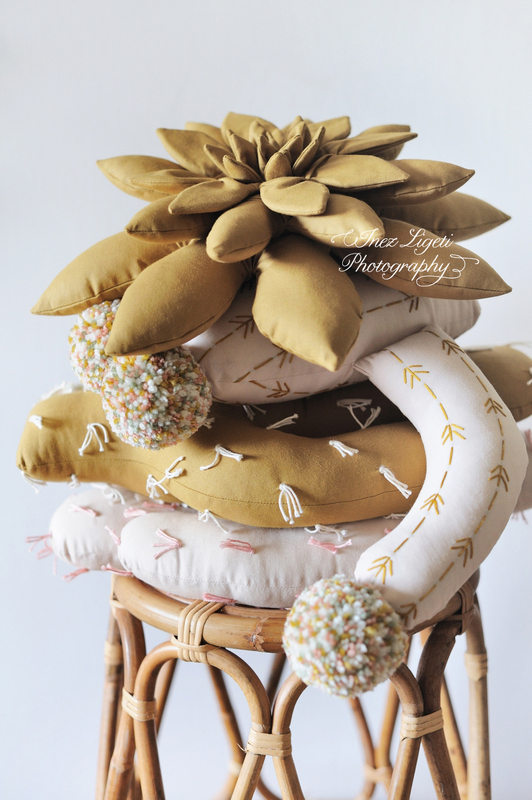 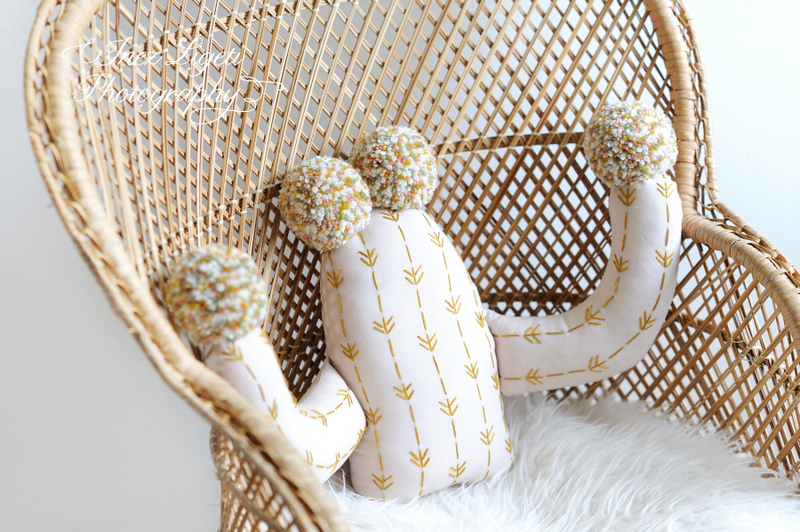 ‘Cuddly Cactus Pillows’ are available with different type of mixed pom poms. 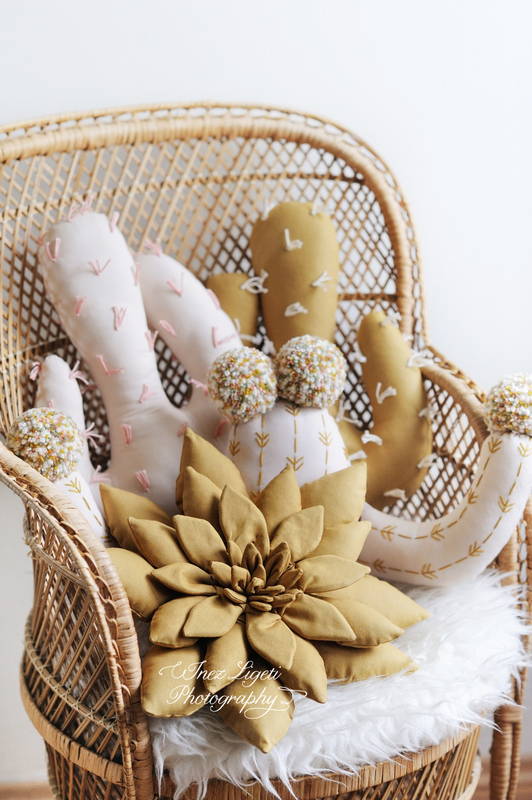 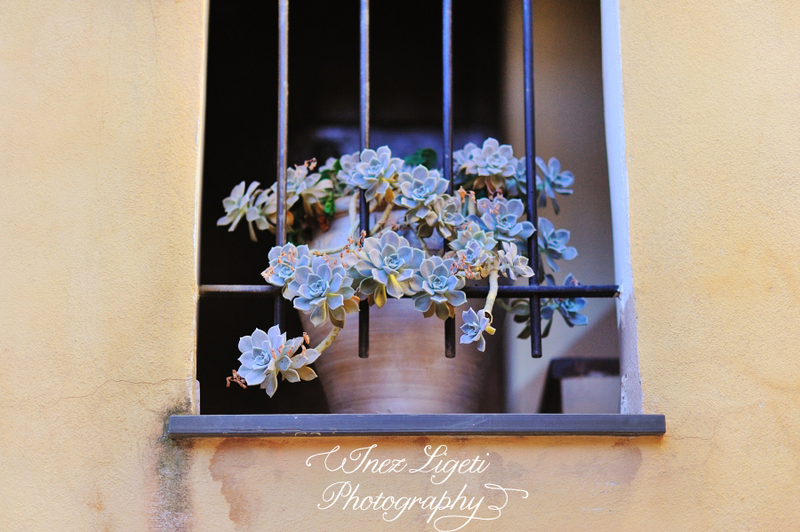 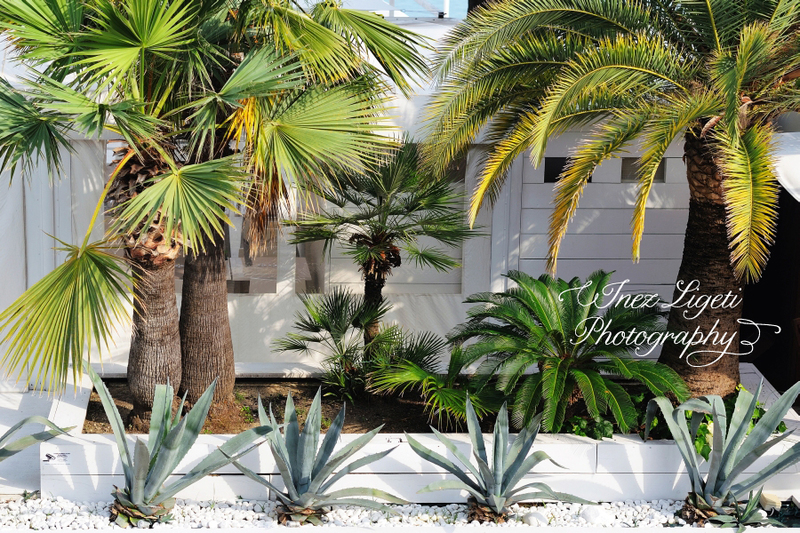 We have a very pretty ‘Succulent Pillow’ too…. 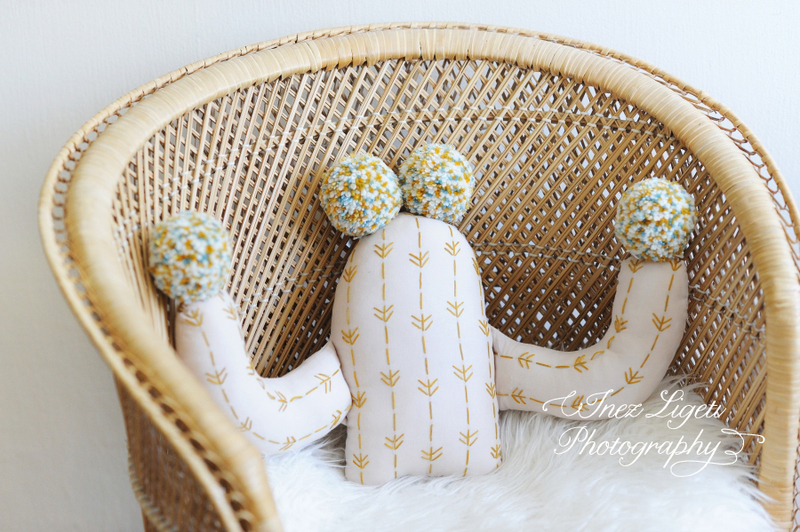 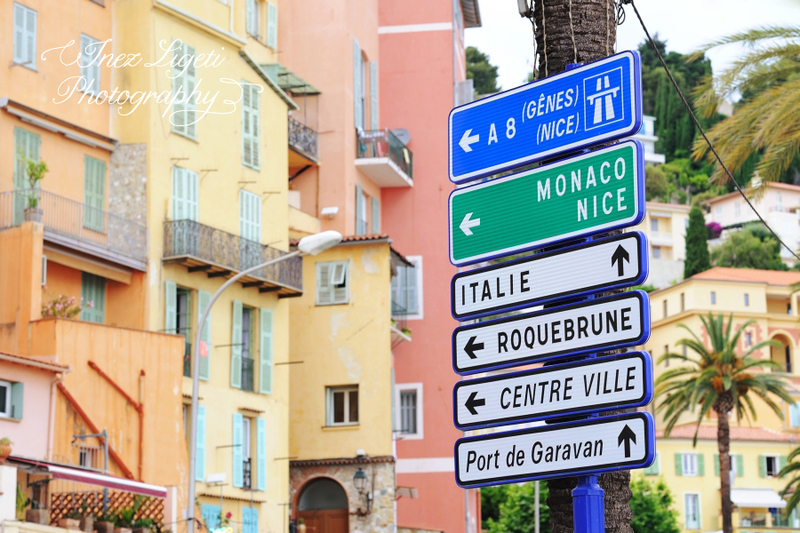 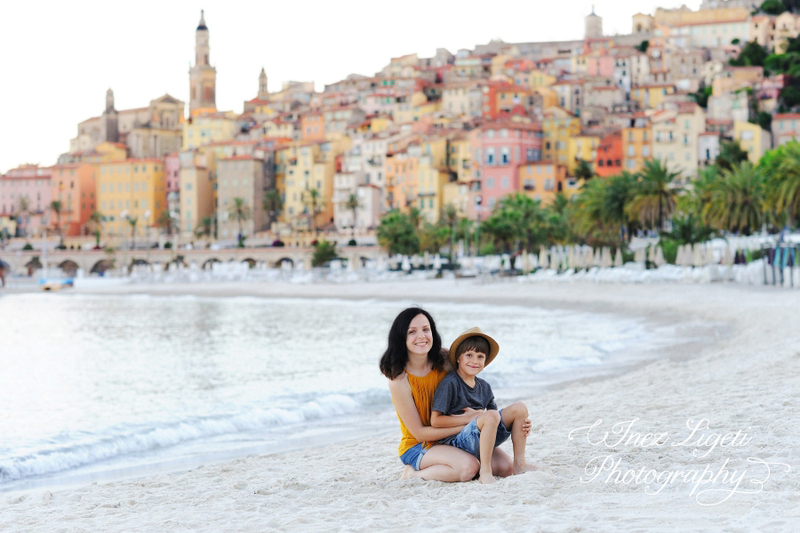 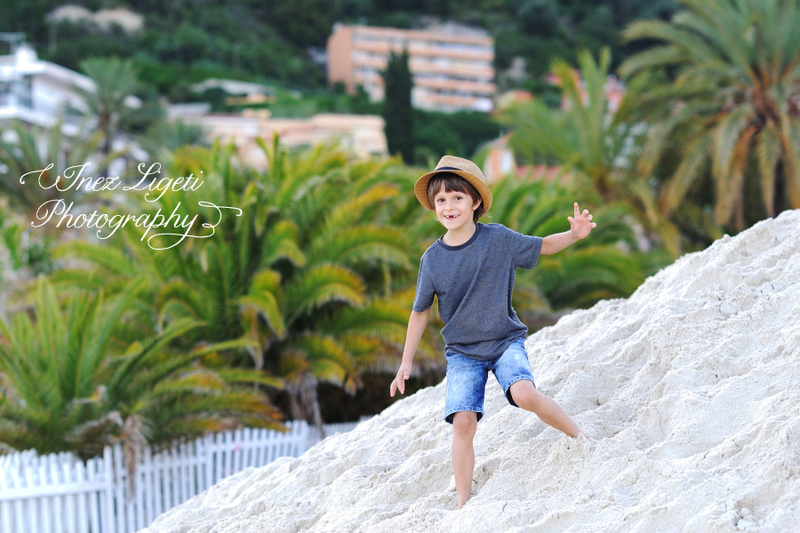 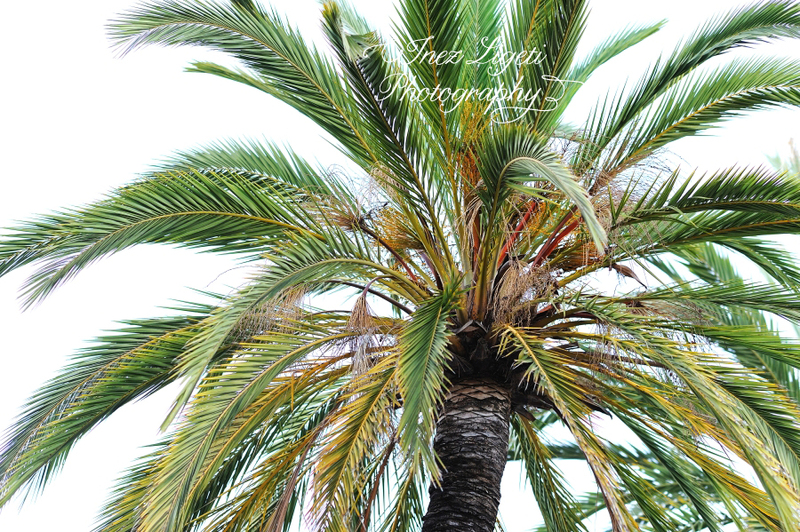 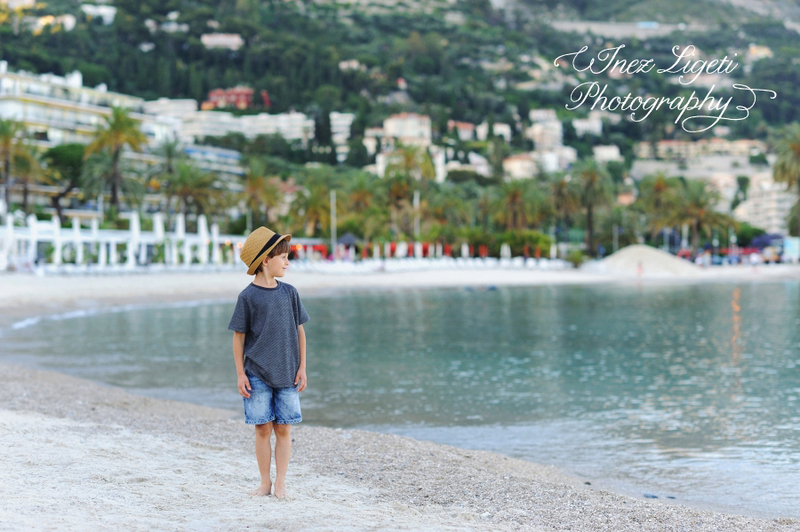 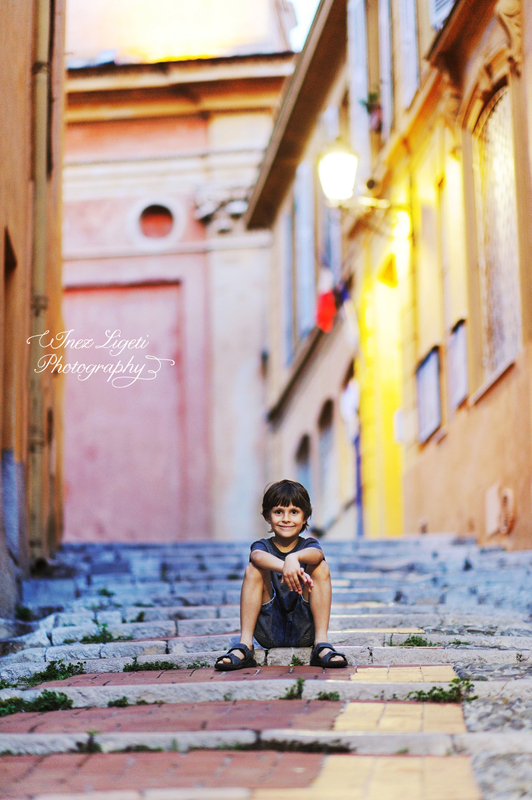 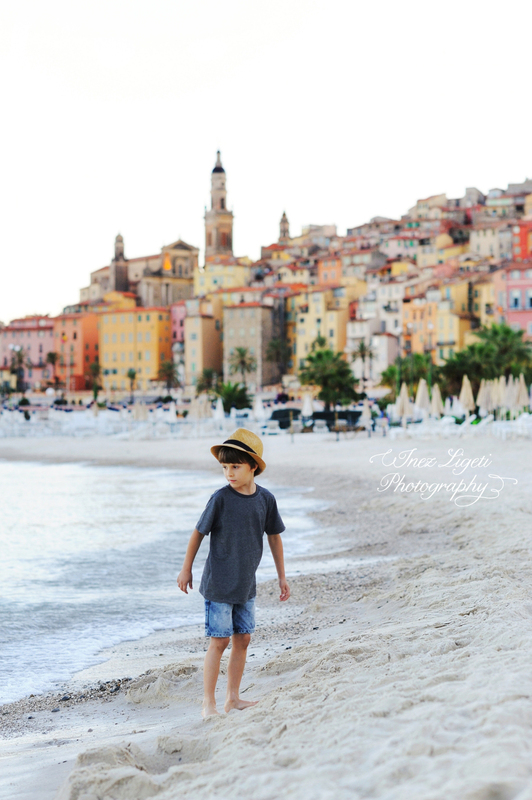 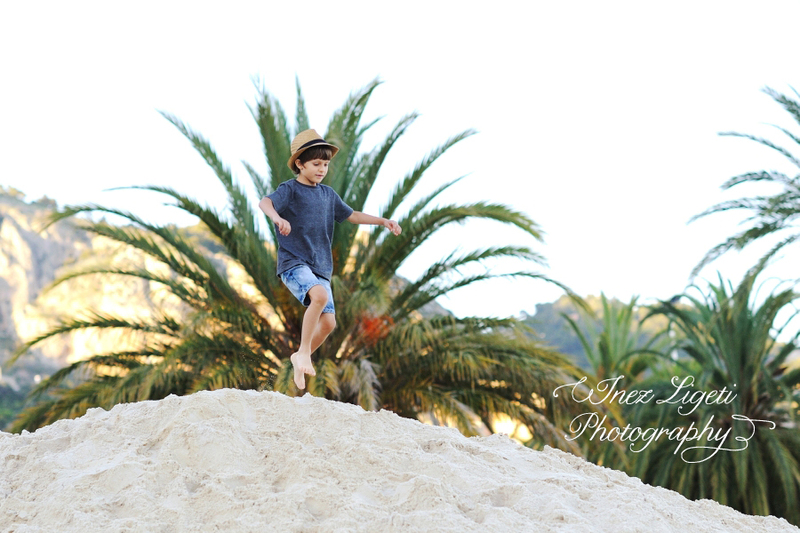 As per usual, this was a custom order, but we decided to offer it in our Etsy shop!